Stefon Diggs' remarkable last-play touchdown in the Minnesota Vikings' 29-24 win over the New Orleans Saints on Sunday had major ramifications in Las Vegas. Diggs' 61-yard catch-and-run as time expired pushed the game over the betting total of 47 and brought the point spread into play. But, for some bettors, the biggest impact was simply the final result. Las Vegas sportsbook operators William Hill and CG Technology each reported taking six-figure money-line bets on the Saints to win the game straight up. At William Hill, 72 percent of the money wagered on the money line was on the Saints, including a series of bets placed Saturday by the same customer that totaled $150,000 at 2-1 odds. With 10 seconds left, and the Saints leading 24-23, the bettor was in position to profit $300,000. Instead, their $150,000 stake will be staying with the book. "That will go down in the bookmaker hall of fame as one of the biggest swings ever in a game," Frank Kunovic, director of specialty games for Caesars Entertainment, wrote in an email. "The only thing better was if they kicked the PAT." The point spread grew from Vikings -3.5 to as high as -5.5 leading up to the game. Meanwhile, money from the betting public continued to flow in on the Saints. MGM vice president of race and sports Jay Rood said there was two times as much money bet on the Saints as was bet on the Vikings at his shop. Rood added that Minnesota covering the spread in a game that stayed under the total would have been MGM's best-case result. "We went from what would have been our best day of the season to squeaking out a small win on the day," Rood said. Minnesota jumped out to a 17-0 lead and looked in complete command heading into halftime. The Saints rallied and took the lead on a Will Lutz field goal with 25 seconds to play in the fourth quarter. Facing a third-and-10 from the Minnesota 39-yard line with 10 seconds left, Keenum hooked up with Diggs near the sideline. Saints safety Marcus Williams missed a tackle, and Diggs strolled in for the winning touchdown. Minnesota elected not to attempt the extra point, which would have covered the spread on any Vikings bets that were made when the line was at -5.5. 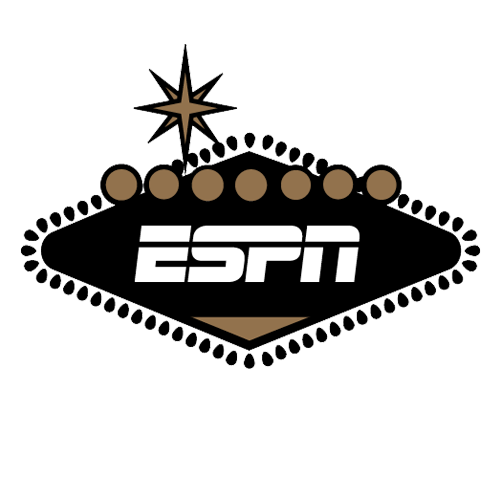 "Vikings by five was a terrible [result] for us," Chris Andrews, sportsbook director at the South Point in Las Vegas, told ESPN. "Over was a killer, too." Minnesota opened as a 3-point favorite over the Philadelphia Eagles in next week's NFC Championship Game. The line had ticked up to Vikings -3.5 at several books late Sunday night.